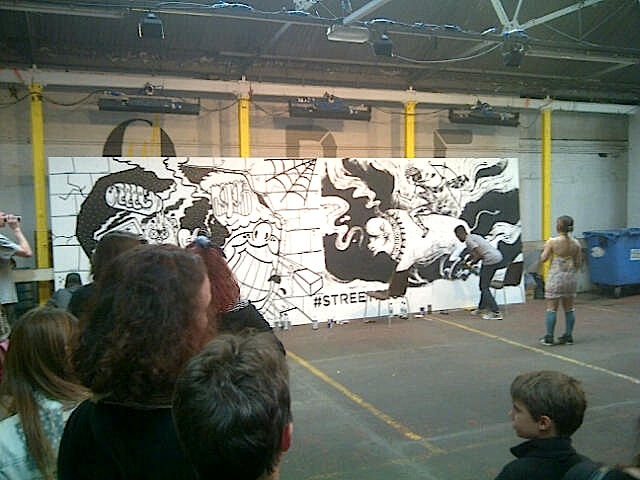 The month of May has started with more exposure to the creative talent that exists quite literally ‘within our streets! ‘The bank holiday was spent in London’s Shoreditch area around Brick Lane galleries before heading over to Streetfest. Streetfest in an annual entertainment event supporting urban culture in the UK .